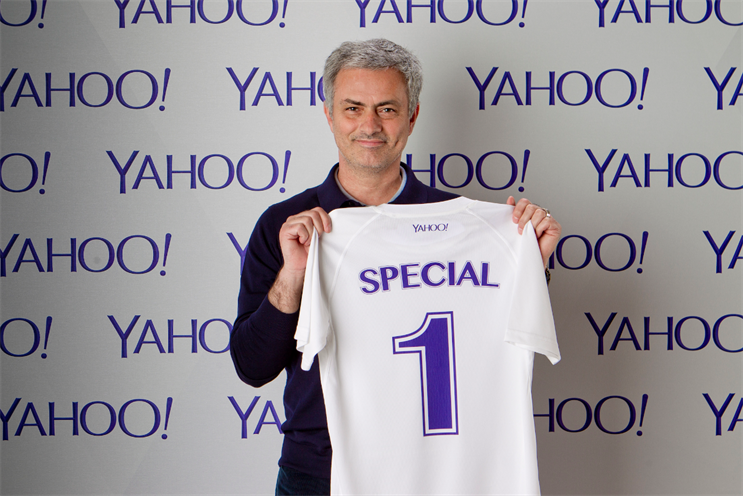 Yahoo has launched its biggest social campaign to date, running across 20 markets, to find the next budding footballer, fronted by Chelsea Football Club's manager and self-styled 'Special One', José Mourinho. The #Special1s is a worldwide competition housed completely on Tumblr that invites people to submit a 10-second video of their best footballing skills, for the chance to win a training session with Mourinho. Users can enter either through the #Special1s Tumblr page or with the hashtag #Special1s via Flickr, Twitter, Instagram, YouTube, Vine and Tumblr of course. Those entered receive a video in return, with a reaction pre-filmed from Mourinho. The manager currently challenging for the Premier League title will also be taking to Twitter later in the campaign to answer fans' questions in a Twitter takeover. Robert Bridge, vice-president head of international marketing at Yahoo, said: "Football is a daily obsession for millions of us around the world. We wanted to capture that passion and create moments that are highly shareable and give fans the chance to get closer to José Mourinho though the Yahoo platform." The hunt for football talent is the latest collaboration between Yahoo and Mourinho. Last month, Yahoo unveiled it had signed the charasmatic manager as its official global football ambassador for 2014. The Champions League winner with both Porto and Inter, and two-time Premier League champion with Chelsea, will be providing Yahoo his thoughts on the Fifa World Cup this summer in Brazil.